Throughout my life I have confided that I never had a traditional kid-centered birthday party when I was a child. 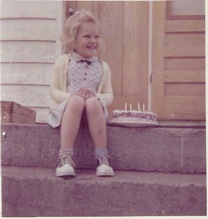 My birthday was always acknowledged, usually with a dinner and cake at Grandma’s but it was always just family. Now that I’m at the stage of life where most women are happy to forget about birthdays altogether, my birthday activities have mushroomed. This year, I’ve been celebrating for nearly two weeks and I’m still not done! The celebrations actually began a few days before my birthday. Over the years, I seem to have collected many friends whose birthdays are near mine. May 13 is the date for four of my friends. One is in Italy, one was too busy that week, one is out of touch, but the fourth and I had a lovely lunch that day. A new friend treated me to lunch the day before my birthday. She blew me away with her thoughtful gifts and the efforts she took to present them perfectly. With my big day falling on a long weekend, the May 17 Club decided to celebrate after the weekend. (Yes, there is a club, a group of people I’ve met over the years who share my birthday. See below.) As we all have busy lives, we’re not meeting until Tuesday, a full ten days past our day. But we don’t care. We are happy to catch up with each other once a year. My birthday began with piles of Facebook and email wishes. Say what you will about the intrusion of internet in our lives but when it’s my birthday and 50 people take the time to send a greeting, it makes me feel pretty special! Those greetings poured in all day and spilled over into the rest of the weekend! A friend sang “Happy Birthday” on my voicemail and she tracked me down and wished me a happy day. Very good effort! For the first time in probably 20 years, I celebrated my birthday with my parents, the people responsible for my existence on this planet. My mom cooked a turkey dinner, one of my favourite meals. My sister joined us and brought me a bouquet of flowers. I don’t know that I’ve ever gotten flowers from her. My daughters and granddaughters took me out for sushi in the evening. One of my favourite activities is to watch my grandtoys eat sushi. Most kids won’t go near it. With my little ones, you have to be rather aggressive with your chopsticks or you might not get any sushi for yourself! Lunches continued to be lavished upon me all week. I even bought a couple as I celebrated with friends with birthdays after mine. I discovered that another friend’s birthday is the day before mine: we resolved to celebrate together next year. Ideally, I would simply take off two weeks to fit in all the celebrations. But the real world requires that I accomplish tasks despite the parties. Alas! I have neglected thanking everyone for their greetings. Until now, it has seemed premature. So today, I reflect on the many blessings I have received these past two weeks. I am rich with contacts that take their valuable time to acknowledge me. I have close friends and family eager to spend time with me. The timing of all this is perfect. Now is the best stage of my life to collect birthday memories. Children inevitably forget the parties, lose touch with friends, and it all ends up a blur. As an adult, I am aware of the importance of these “touch points”. I am wise enough to ponder them in my heart, revere them, and hold them as precious. Thankfully, my mind is still clear enough to remember them for some time. Have you ever seen a young child with a mountain of birthday presents? Opening them becomes a chore. Wrapping paper falls away, revealing a carefully chosen gift, only to be glanced at and discarded on the pile to make room for the next present. As an adult, I open each “gift” with care, examining the wrapping and appreciating the art that went into it. I focus on the spirit of the giver. I hold the gift in my heart and carry it with me forever. How can I regret birthdays past when birthday present is so rewarding? Though I may have been short-changed on parties as a child, I’m more than making up for it now. This week the May 17 Birthday Club conducted its 20th annual meeting. It was festive as usual as we all got to soak up an hour or so hanging out with four other people who share little but having been born on the same day. I first became aware of the club ten years ago when I hired a new assistant. I was telling my colleague, Paul how amazing it was that the new hire had the same birthday as I do. I rambled on about how I had never met anyone who shared my birthday. Paul asked me when my birthday is and when I told him May 17, he said, “Mine too”. I called “BS” and demanded he produce his driver’s license. Sure enough; it is May 17. He then proceeded to tell me that he and two other guys he had met through business get together for lunch on or near their birthday each year. He immediately invited my new assistant and me to come to the next lunch and we have never looked back. The first time we talked at length about our similarities and differences and wondered aloud whether there was any truth to our horoscope. We discussed the various celebrities that share our day, among them Bob Saget and Dennis Hopper. As the years passed we learned about each other’s passions and families. Some years we met in November too for our half birthday just to catch up with each other. Last year our spouses joined us for dinner to honour the 65th of one member and the 50th of another. We have representation from four decades and we always discuss our ages and how time marches on. (For years one member has stated his age as X “US” (generally giving him at least a 20% advantage!)) This year I told the group that I’m 17 for the third time! We’ve witnessed many life changes. One year a member lost his mother just before our meeting. The following year he lost his father. I remember him calling himself an orphan that year. The next year we celebrated the birth of his first grandchild. There have been graduations from Kindergarten , high school, and university. We have witnessed career changes, once-in-a-lifetime vacations and acquisitions of businesses and property. We have had births, deaths and weddings to discuss. Next year a new baby will be coming to the lunch. This week we marveled at how our lives have evolved, all the fun we’ve had meeting with each other, and how quickly the years have passed. Happy Birthday to my fellow May 17ers. You have greatly enriched my life. I am privileged to have lunched with you all these years. I feel like I have found a family. I sure hope we’re still meeting in 20 years. And if your birthday is also May 17, you are automatically a member. Drop me a line and we will gladly include you in the festivities next year. It’s bunches of fun, but that’s just One Woman’s Opinion. This Easter my Grandtoys (grandchildren) reached a milestone. A bit of sleuthing by my eight-year-old granddaughter, J____ revealed Mommy is the Easter Bunny. It seems the receipt for the candy Mommy bought caused some curiosity, especially when she snatched it from J____’s hand and forbade her to read it. The night before Easter my daughter had wondered out loud to her friends how long she must keep up the pretense of the Easter Bunny, since her kids are eight and eleven, long past when most kids’ faith has been altered. 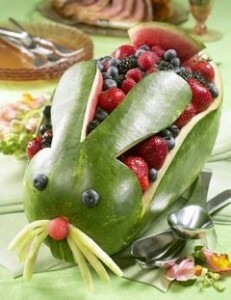 When the bunny was out of the bag, she was worried about the repercussions on the fragile psyche of her kids. J___ simply said, “You’ve been going to all this trouble for us? Thank you, Mommy!” Hug. No tears. No anguish. Just raw appreciation for the efforts Mommy made to bring fun and joy to her children. My nephew was seven when his sister was born. My sister, his mom warned him when he figured out the truth. “You will not spoil your sister’s fun. As long as you comply, Santa will leave you gifts too.” Worked like a charm! Magic and make-believe are vital components of a great childhood. But things change. We grow up. We must face the realities of life. We have to put away childish games and thoughts. Does that mean we abandon magic? Absolutely not! As adults we get to MAKE magic. We stretch our budgets to give gifts, which we often give anonymously or on behalf of a make-believe being. We pretend to be someone else simply to bring a smile to a child’s face. As adults we have the power to bring magic into the lives of people around us. We get to be angels. If you’ve ever seen the shining eyes of a child who has been touched by magic, you know how precious it is. While receiving magic is wonderful, the true joy is in giving magic. Ask any grandparent. PS: What do you call a rabbit whose field is anesthesiology?